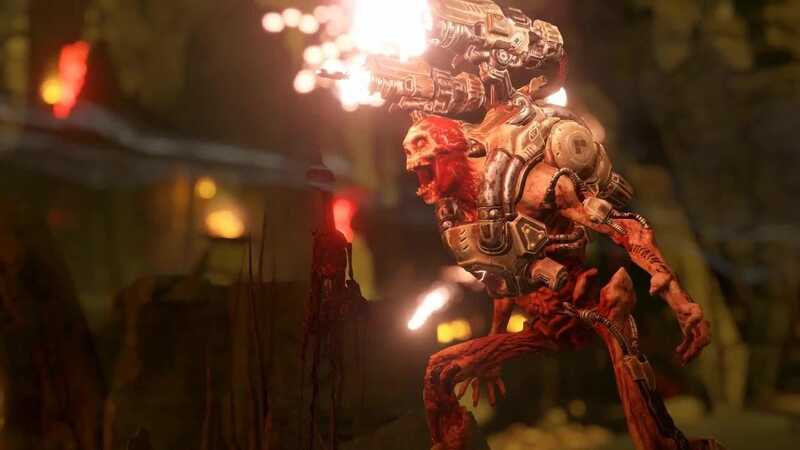 id Software / Bethesda Softworks2016’s ‘Doom’ is an outrageously violent game. It’s also really good! In the wake of the shooting at Marjory Stoneman Douglas High School on February 14, President Trump resurfaced the ongoing debate over violent video games. “The level of violence on video games is really shaping young people’s thoughts,” Trump said last week. On Thursday, White House press secretary Sarah Huckabee Sanders announced an upcoming meeting with game industry executives. The argument that violent video games cause gun violence is contradicted by one major piece of evidence: The same games are sold around the world, yet gun violence is far more prevalent in the United States. On February 14, yet another school shooting happened in the United States. At Marjory Stoneman Douglas High School, a 19-year-old gunman killed 17 students and staff members with a legally purchased AR-15 rifle. Survivors of that tragedy have become activists, helping to rekindle and fuel an ongoing push for gun control. And that push has spurred lawmakers to act. President Trump has met with members of Congress since February 14 in an attempt to set an agenda on gun control legislation. Trump even stunned some Republican members of Congress in a recent meeting, pushing for Democrats and Republicans to work together on issues like restricting “military-style” weapons. Trump is suggesting that violent video games and films are at least partly responsible for the rise and persistence of gun violence in the US. It’s an argument that dates back to the Columbine High School shooting in 1999.
id Software/Bethesda SoftworksThe original ‘Doom’ on PC looks rudimentary by 2018 standards. It was one of the first-ever first-person shooter games. That’s according to the Entertainment Software Association, the group that represents major video game industry stakeholders like Microsoft, Sony, Nintendo, Activision, EA, and others. It’s not surprising that the trade group representing the video game industry feels this way – but it’s a hard point to argue. Though first-person shooter games like “Call of Duty,” “Battlefield,” and “Halo” are popular with American video game players, they’re also popular all over the world. The game industry is a global market, with platforms like the PlayStation 4 that serve territories with extremely restrictive gun laws and territories with relatively lax gun laws. Even though these games are played all over the world, the United States is a standout statistically in terms of gun violence. 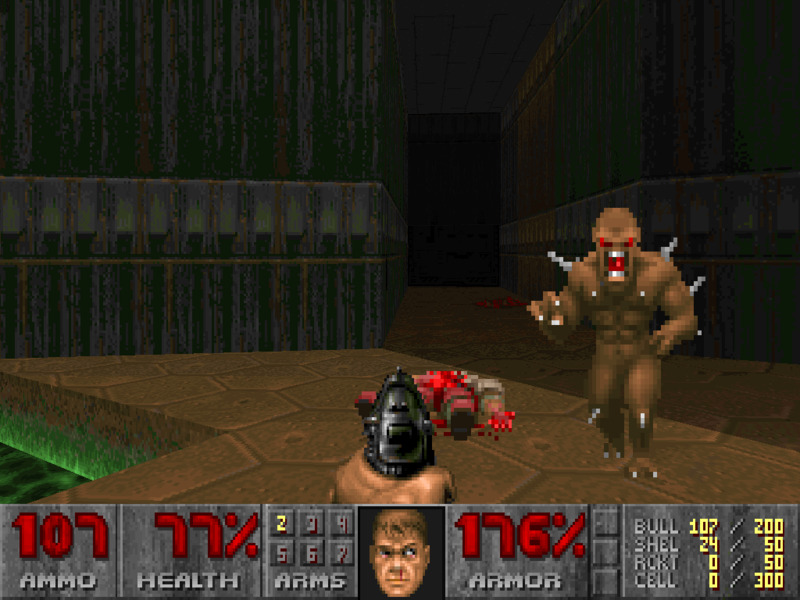 If violent games were causing violent behaviour, it stands to reason that the connection would be more consistent around the world. Whether or not it’s good for children to be exposed to graphical violence in games, or theatrical violence in movies, isn’t clear. It probably isn’t. What is clear is that playing violent games and watching violent movies doesn’t directly cause violent behaviour. We have the evidence to prove it, and it’s staring us right in the face.